Cameron’s career started at the age of seven when he began racing Quarter Midgets in the central Florida area. He worked his way up through three different classes while learning car control and fundamental driving skills. During those years he won numerous races, while simultaneously competing in two classes. At the age of 12, he won the State Championship in the most competitive class in which he competed, Senior Honda. The local track where Cameron competed was closed the following year (after 50 years in the Orlando area! ), and he switched his focus to baseball. It wasn’t until after he graduated from high school that he took up racing again. In 2010, Cameron obtained his Sports Car Club of America license and began competing in SCCA races in the ITS class with an Oldsmobile Achieva before moving up to the GTA class, which is managed by V8StockCar. After competing in a full-season of the V8 Stock Car Road Racing Series in 2011, Cameron finished second in Championship points and earned the Rookie of the Year award. In his second season in V8 Stock Car Road Racing Series in 2012, Cameron won the GTA Championship with seven wins in only 10 race starts. Cameron began his professional racing career in 2011, where he drove for Miller Racing in the SCCA Trans-Am Series TA2 class and finished third in his debut race at Road Atlanta. In 2013, he competed in the Trans Am Series with Miller Racer with a Dodge Challenger in the TA2 Class where he claimed victory in eight of the championship’s 10 rounds en route to his first professional championship. At 21, Cameron became the youngest champion in the Trans-Am Series entire history. For 2014, he took an additional seven wins and a second-straight TA2 class championship with Miller Racing. In 2015, he returned for a third season with Miller Racing in TA2 where he took four more victories and finished third in the TA2 class championship. 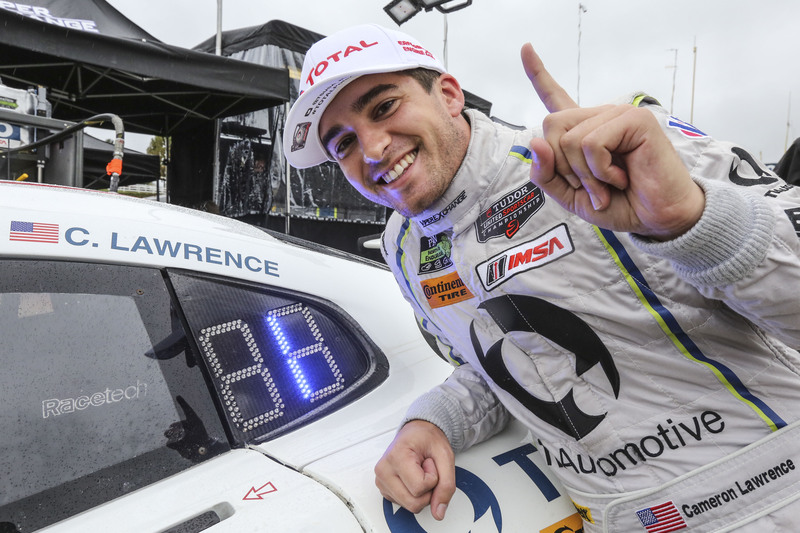 In 2015, Cameron recorded impressive results in his first-ever WeatherTech SportsCar Championship season with Riley Technologies in the #93 Viper Exchange/TI Automotive Dodge Viper. After winning the Rolex 24 Hours of Daytona and Sahlen’s Six Hours of the Glen, Cameron went on to win the Tequila Patron North American Endurance Championship with teammate Al Carter. Notably, Cameron took his first WeatherTech SportsCar Championship pole during his first qualifying attempt in the WeatherTech SportsCar Series, narrowly beating out the Porsches of Leh Keen and Spencer Pumpelly in the final minute of a wet qualifying session, at the 2015 Petit Le Mans. 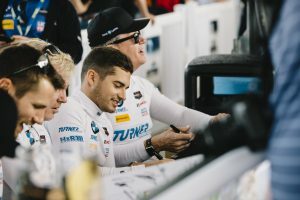 Following a successful breakout season in the WeatherTech SportsCar Championship, Cameron spent the following two years competing in select Continental Tire SportsCar Challenge races in the ST class with Honda of America Racing Team (HART) and returned to IMSA WeatherTech SportsCar Championship for Petit Le Mans in 2016 where he competed with Turner Motorsports in the #97 BMW M6 GT3 and finished third with teammates Michael Marsal and Markus Palttala. In addition, Cameron joined Class Auto Motorsports in the Trans Am Series presented by Pirelli Tire, where he took fourth in the 2017 Trans Am Championship in the TA2 class. In 2018, Cameron competed in the Rolex 24 Hours of Daytona with Turner Motorsports and the Creventic 24 Hours of Dubai and LiquiMoly Bathurst 12 Hour with RHC Lawrence-Strom. For 2019, Cameron looks to build his racing resume in IMSA WeatherTech SportsCar Championship, Continental Tire SportsCar Challenge and Pirelli World Challenge. Cameron graduated from the University of Central Florida with a B.A. in Business Management and a minor in Marketing in 2015. He currently resides in Windermere, Florida with his wife, Morgan.